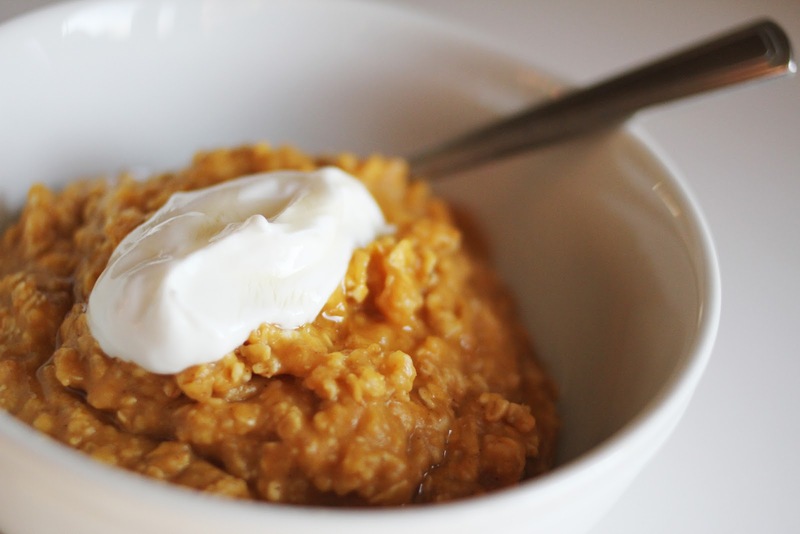 Warm and hearty pumpkin oatmeal! It satisfied a major craving for something "dessert-like" without any guilt! It was a great feeling to know I was getting a good serving of veg(the pumpkin) as well as the fiber and protein from the oatmeal! It was a fantastic switch up from the basic! Enjoy! In a small sauce pan, over medium heat, cook the above ingredients, stirring frequently, until oatmeal is tender. About 5 minutes. Pour into your bowl, add 1 tablespoon honey and a sprinkle of cinnamon and mix. Add a dollop of Greek yogurt or Creme Fraiche to the top and you are good to go! Amazing breakfast that will give you an abundance of energy until your next meal! I love oatmeal too! I need to restock the Libby's. You guys need to try it! It's yum! Oh my! I love oatmeal and I love pumpkin! Definitely going to try this!!! Caroline! Try it for sure! So warm and "stick to your bones" yummy!